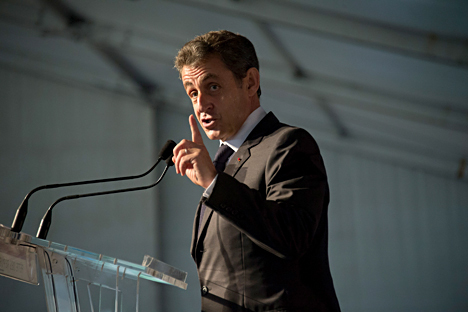 A new Cold War would be senseless, and so would Russia's isolation, former French President Nicolas Sarkozy said. "A new Cold War makes absolutely no sense after so many people died just for the world to be free and for the European continent to discover peace," Sarkozy said while speaking at the Moscow State Institute of International Relations (MGIMO) on Oct. 29. "There is no point in isolating Russia, I am firmly convinced of this, it's necessary to talk with Russia," Sarkozy said. He pointed out that a conversation with Moscow is essential when Europe disagrees with it. "It's very pleasant to talk when you agree with someone, but this conversation won't take you far. A dialogue between Russia and Europe, between Russia and France is essential. When we talk, we act much more efficiently and wisely," Sarkozy said. Such a dialogue is a difficult thing and requires mutual respect above all, he said. "I have never changed the point of view that the world absolutely needs Russia," Sarkozy told. "You should be convinced that, without Russia, we cannot respond to the serious challenges and severe crises that we face," Sarkozy said. "The world needs Russia, and those who have forgotten about this, especially over the past decades when your country has been recovering after a monstrous totalitarian experience, those who have forgotten about this, about Russia's pivotal role, these people have made a grave mistake," Sarkozy said. France has not made this mistake, because "France, as well as Russia, is proud of its history, its culture, and its spirit," he said. "And my key point is: whatever ups and downs might have occurred in our historical development and whatever points of agreement and disagreement we might have, the Russian nation is a great nation, and Russia is a great country. And you, young Russians, should not fear to be proud of your own identity and your originality, because identity is a most important legacy," the ex-French president said addressing the audience. "This should not become a source of aggression but this should be a source of pride and belief in your own powers," he said.